Are you looking for a Mr. and Mrs. Santa Claus to attend your next holiday party, or if you are looking for experienced Santa Claus actors or a singing Santa Claus and Mrs. Claus, your search is over. The following services are available from Michigan Santa Claus® LLC. 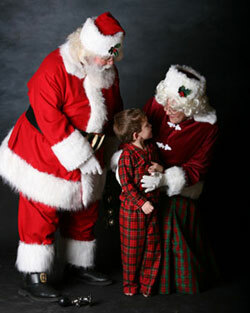 Santa and Mrs. Claus have a heart for children and will consider work for your children’s charity. If you have another idea of how our Santa and Mrs. Claus can enhance your next event or project, please use our convenient contact form to contact them with special requests or call 248-398-3052 today.